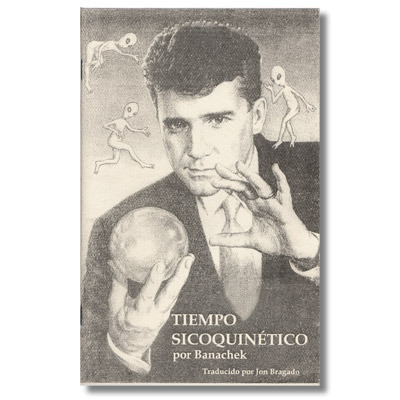 Today, when you order "Psychokinetic Times (Spanish Edition) by Banachek - Book", you'll instantly be emailed a Penguin Magic gift certificate. You can spend it on anything you like at Penguin, just like cash. Just complete your order as normal, and within seconds you'll get an email with your gift certificate. Banachek's Psychokinetic Time (Tiempo Sicoquinetico) Trick. Do you remember the stunning magic effect that Master Magic Man David Blaine used to open his "Street Magic" TV special? In effect, he borrowed a watch from a man sitting in his car and checked the correct time. He placed the watch back in the man's hands and then asked him to think of a number to move the time. The man said "24" and after a few seconds of mental hocus-pocus, the man opened his hands and saw the watch indeed MOVE AHEAD 24 MINUTES! The reaction was incredible! Now, you can learn the original method and forcing techniques used for this amazing effect in Banachek's 26- page manuscript Psychokinetic Time. Psychokinetic Time comes complete with nine clear photos and descriptive text that details the ultimate impromptu method for altering the time on a spectator's watch while held in their own hand! Other effects and concepts with watches are also discussed using the secret principles. No "gadgets" or difficult handling. 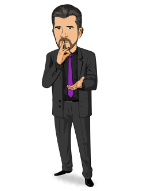 This is for the serious magician, mentalist or conjuring enthusiast - but can be mastered by anyone!